Last week’s announcement from Attorney General Jeff Sessions that he is opening the door for U.S. Attorneys to use their own discretion when it comes to going after marijuana businesses in states where they are legal continues to provoke reaction from all parts of the political spectrum. Former Republican Congressman and Presidential contender Ron Paul has weighed in, and during an interview on CNN he proceeded to rip into Sessions and his decision on legal cannabis. “He represents something that is so un-American, as far as I’m concerned,” Paul said, referring to the U.S. Attorney General. While he has said for decades that he is against drug use, Paul has also said for decades that it is neither his business nor the business of government what people ingest into their own bodies. In the end, however, Paul said Sessions won’t be successful if he directs a crackdown on legal marijuana because the states will fight him tooth and nail to protect current and future tax revenues. In this prediction he is probably correct, and lawmakers from many states have already said they won’t stand by while the federal government overrides their state’s law. 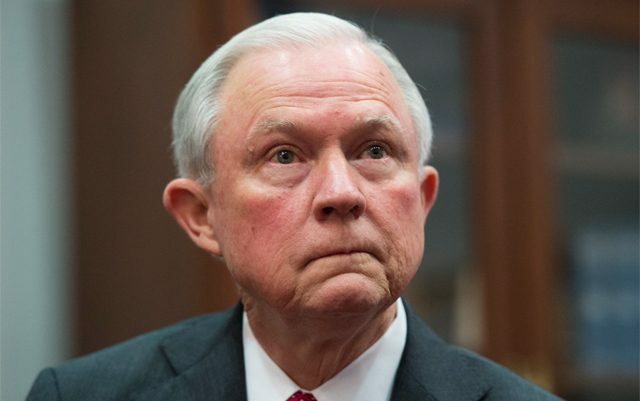 As I’ve said since Donald Trump was elected President and it was announced that his pick for AG was Jeff Sessions, there is very little upside to the federal government going after legal cannabis. A long war, consuming vast amounts of resources and distracting from other supposed priorities of the Trump Administration, seems like a bad idea, no matter what angle you look at it from. Add to that the fact that it won’t be successful in wiping out the legal cannabis industry, and one has to wonder if all this is just a bit of posturing to appease the GOP base going into a mid-term election year.